Wow nice pickup Mike... it looks exactly like the stellarmate box. But it seems to have some custom software for image acquisition and camera control. Edited by suvowner, 22 April 2018 - 03:43 PM. Confirming the report above where Sam quotes a probable price of around $150, maybe available in three months. Lacking USB3, it's definitely aimed at DSO CMOS imagers. But if you want to minimize dangling cables everywhere, it sure does sound like a nice solution you can velcro to the OTA. Probably more positives than negatives for the DSO imager with a CMOS ZWO cam. It might just be that they are both Raspberry Pi based and happen to use the standard RasPi case. Badge engineering is also a possibility of course. I saw it today as well and Sam said it would be available in July. It's a generic Pi case. It even has the symbol imprinted. I have the exact same case at home I used for a DAKBoard. I want one as well. $100-200 is what I was told. He also said it would be for DSO only, not planetary as it couldn't keep up with the frame rate. He said it would be for both imaging and mount control. Being. 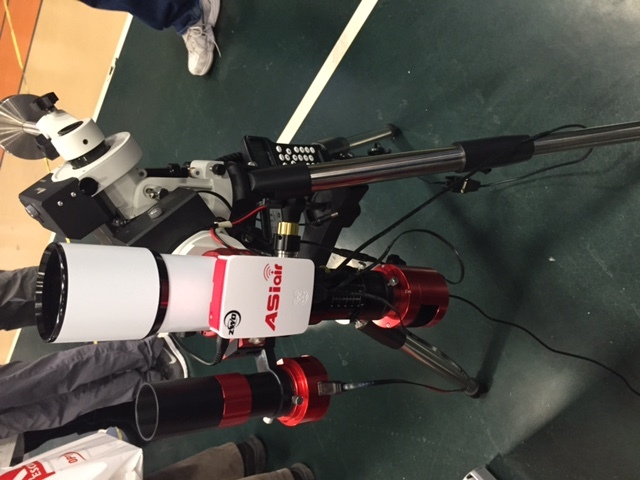 RasPi enthusiast, I attempted to use it for planetary imaging a year or so ago and it just wasn’t up to it. You really need USB 3.0 for that. I have only just started with DSOs, but the first thing that I noticed is that the frame rate was orders of magnetude slower. what about the clone rasPi that claim usb 3.0 ?? I think that it would then depend on it has enough CPU power, memory etc to save a large quantity of data coming it at a fast rate. I have never owned one so I can't say. 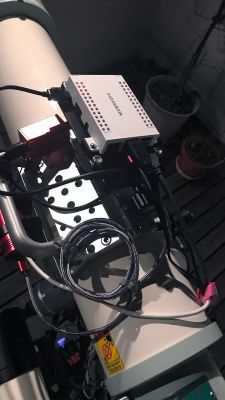 By the way, WiFi bandwidth (even 802.11ac) can be a limiting factor for high resolution, high speed image capture, so that would need to be done on the Pi for at least the more extreme cases. 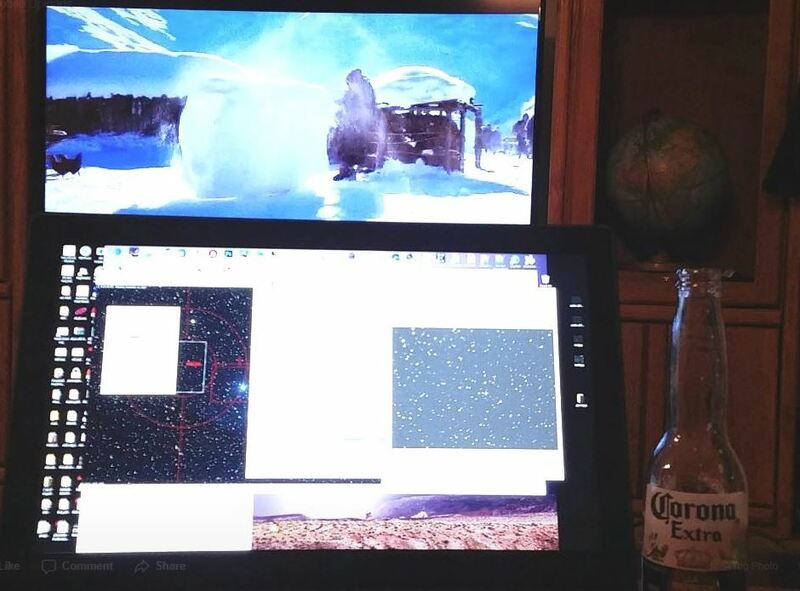 I should also clarify something about the need for USB 3.0 for planetary imaging. This applies to high resolution sensors (APC or four-thirds senors) at full frame size. Even for Planetary (or more correctly Solar System) imaging, excluding the Moon and the Sun, I use full frame only for live-view while zeroing in on the planet and switch to a much smaller Region of Interest (ROI) for image capture. I would think that USB 2.0 might be good enough for that although I have never tried it. so does anyone know if either the stellarmate or the asiair could be used to drive the explore scientific pmc-8 system using mac os or iOS ?? I started with a RP3 running INDI (same as stellarmate) then switched to a Rock64. It is a great solution if you are looking for remote control over home wifi and not freezing your tail off all night. I love the setup. Using Kstars Ekos and INDI you can pretty much automate an entire night with Ekos Scheduler. Edited by Rankinstudio, 25 April 2018 - 03:50 PM. I believe it's a communication protocol, not specific to Windows. I could be wrong. So it IS a protocol. Which means it could be used on other operating systems. Just not Apple. I have a feeling that ASCOM is Windows only. The Mac/Linux equivalent seems to be INDI. 1. The Explore Stars PMC8 can be used with any software that uses the ASCOM library. 2. The PMC8 and the mounts for it connect with serial/DB9 cables. So it MIGHT work with the mounts if you could get the correct adapters. One uses a Male on the PMC8 to female on the mount and the other one is reversed. 3. ASCOM is a protocol, but the people who run ASCOM only support C#/Windows. I'm not sure if you can put it in a C# Mono project for macOS. I think there is a JAVA implementation out there somewhere, but I'm not sure. If someone wanted to write a library in another language all they would have to do is conform to the protocol and they should be able to do whatever ASCOM C# can do with another language. Sorry if I'm talking over your heads, I'm a programmer and it happens sometimes when I talk to non programmers. Also, if anyone has a copy of the StellarMate OS or the ASiair OS I'd like to get my hands on a copy to see what is going on in there. Edited by jimistephen, 21 September 2018 - 01:22 PM. Jasem Mutlaq sells the Stellarmate OS for $49 from his site. There's no need to pirate or try to rip off the guy. You can almost compile everything yourself if you're familiar with linux for free. He is also on cloudynights as knro. There is a PMC indi driver available as well. Is anyone else observing that so many of the advertising photos of this mount type show the scope pointing to Polaris? There aren't so many interesting things to observe there. Or would another posture of the mount look unfavorable? Edited by Gert, 21 September 2018 - 06:30 PM. As the author of the PMC8 INDI driver I would like to mention I think it is ready for testing but so far I might be the only user. Hi, this is my first comment in cloudynights. Recently, I have customized a chassis of ASiAir. It's very easy and useful for the equipment. More detail is described in my blog (Sorry, in Japanese). I've got one, and the connections are working with the PMC-8 on my iEXOS-100, however I'm not sure how accurate the slewing is. 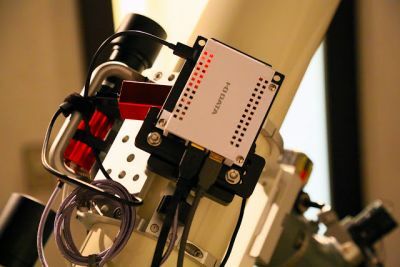 I've read in the io forums that the ASI group is testing with this mount. The weird thing is that it doesn't seem to grab the lat-long-time data properly from my iPad. I'm going to be doing some more testing in the next week or so. Has anyone here used this product with an iEXOS-100 mount by ES?